Rory Graham — these days more commonly known as Rag ‘n’ Bone Man — was unprepared for that kind of response, after wrapping up his first ever solo gig in front of a live audience. At 19, his dad had coaxed him up to the mike at a blues jam in a local pub. Compared to the UK hip-hop and jungle scene he had been a part of for some time, this was a rather different experience. The audience reaction was, as he reminisces in a Telegraph interview, just as overwhelming as it was surprising to Rory. After finding his now world famous singing voice in the pub that evening, there was no turning back. Today, the 31-year-old artist is recognised as one of the most talented singers in the UK. 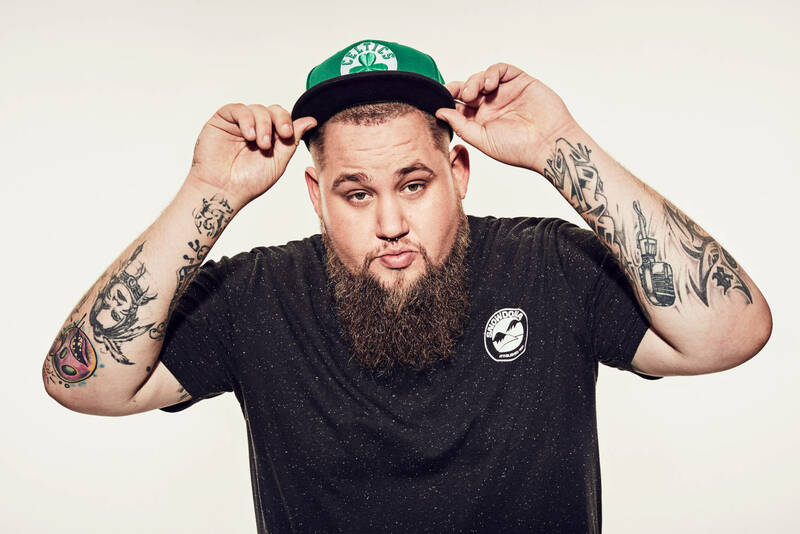 Taking the artist name Rag’n’Bone Man after his favourite childhood sitcom Steptoe and Son (also a nod to his jungle roots), there was a certain buzz after his releases Bluestown (EP) in 2012 and the album Wolves in 2014. But it wasn’t until last summer that the ball started rolling on a grand scale. With the mighty (and seriously catchy) single Human, Rory suddenly saw himself topping the iTunes Charts in 25 countries. Currently, Human has surpassed 160 million streams on Spotify and nearly 250 million streams on YouTube, reaching fans far beyond the British shores. 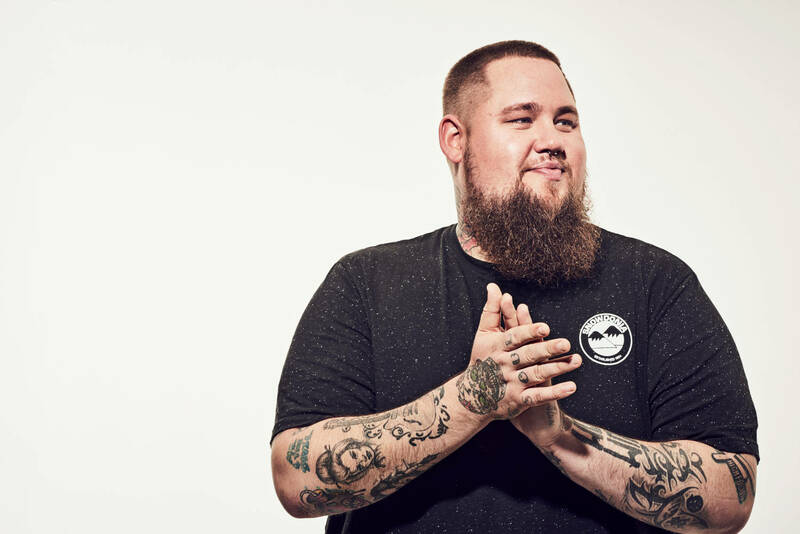 This February, the album also titled Human was released, and from May throughout the summer Rag’n’Bone Man will be touring the UK and the rest of the world (find upcoming dates here). Rag’n’Bone Man is a prime example of the fact that looks can be deceiving. With his knuckle tattoos («SOUL» and «FUNK»), huge beard and bulky appearance, Rory comes across as half Viking, half New York gangster – someone you’d possibly cross the street to avoid meeting on a dark evening. «I’m no Justin Bieber. But if you don’t like the way I look, that’s your problem, not mine», he once told The Telegraph. At his concerts, fans, only having heard his voice, often mistake him for being a roadie or security guard when he enters the stage. Once he starts singing, they´re in for a shock. «It’s cool when people say ‘I thought you were black. I was listening to Muddy Waters when I was 12. I grew up listening to great black singers. It’s a compliment», he discloses in The Telegraph interview. Even though Rag’n’Bone Man has a voice to match the old school US southern soul singers, he hasn’t always been able to dedicate his time to music. He grew up in the small town of Uckfield in South East England. Having an older sister with Down´s syndrome, he spent quite a few hours a day looking after her. This became a natural part of Rory’s life, and he ended up working as a carer for people with Asperger’s and Down’s syndrome for several years, driving them around town singing Disney songs out loud. «It taught me a bit more about love, I guess. And if the music doesn’t go that well, I’ll probably go back to it, yeah», he tells ABC. There is, however, little evidence that this friendly giant will disappear from the charts anytime soon. Besides releasing his own album, Rag’n’Bone Man is a guest artist on Gorillaz’ new album — as well as making an appearance on the Ellen DeGeneres show. This summer you’ll be able to enjoy Rag’n’Bone Man at Glastonbury or the Isle of Wight Festival, in addition to several other festivals and venues across the globe. Not bad!